We have trained and certified technicians who are able to clean a structure from top to bottom along with all contents. We are able to analyze the ceilings and walls to determine the extent of the damage. 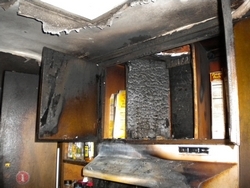 Once the extent of the damage has been determined, we are able to clean the structure and contents as needed. Our trained technicians use specialized cleaning techniques that can sometimes prevent the need and added expense of repainting. If the extent of the damage is such that repainting is necessary, we'll prepare the surfaces to be painted and provide a professional finish. 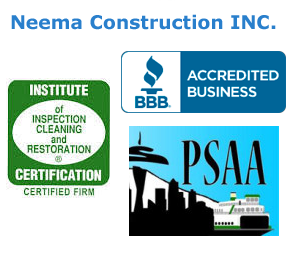 Carpet and upholstery can be cleaned and deodorized utilizing wet or dry cleaning methods. All of this is performed while paying particular attention to the sensitivities of the homeowner. In some cases, reconstruction will be necessary before the property can be habitable again. In such circumstances, we offer a supervised moving crew to pack out the contents of the home and bring them back to our facility. Once the contents arrive they are carefully cleaned, deodorized and repacked. They are then placed in storage vaults and sealed up to await their return. When the property is again habitable, we will carefully return the cleaned items back to the owner. Whenever there is a high amount of humidity or moisture the possibility of mold growing becomes possible. Mold growth can begin with the sudden release of water, like a large spill or overflow or burst pipe, or a leaking roof or faulty plumbing. Areas with high humidity and warm, moist air condensing on smooth surfaces will also cause mold growth. If you see evidence of mold on a painted wall surface it should be a concern that there is growth on the opposite side. 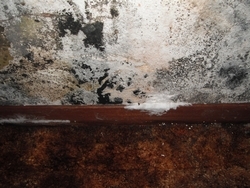 The inside of walls can create a perfect environment for the growth of mold. If the wall has been exposed to a prolonged period of wet or damp areas, you are almost assured that the mold growth on the inside of walls will be greater than that on the outside. 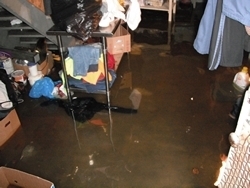 The area’s must be contained, the mold removed and all the salvageable framing and materials cleaned.To be sure that mold is removed correctly and the occupants are properly protected, the Institute of Inspection, Cleaning and Restoration Certification suggests that homeowners contact certified professionals to contain and remove the mold growth. Successful restoration depends largely on immediate response and the fastest drying possible. That's why we have crews on-call 24 hours a day. We use state-of-the-art moisture detection equipment to locate and eliminate hidden moisture. We can guarantee your property is completely dry. You won’t have to worry because a dry structure means no mold.